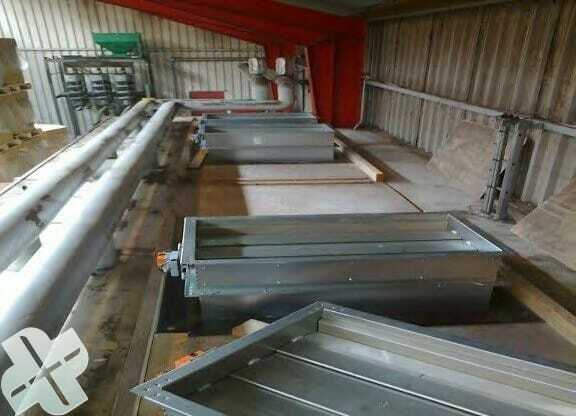 Optimise your existing drying installation to guaranty drying of your seed when you need it! 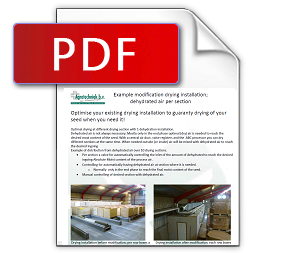 Optimal drying at different drying section with one dehydration installation. Dehydrated air is not always necessary. Mostly only in the end phase optimal (dry) air is needed to reach the desired moist content of the seed. 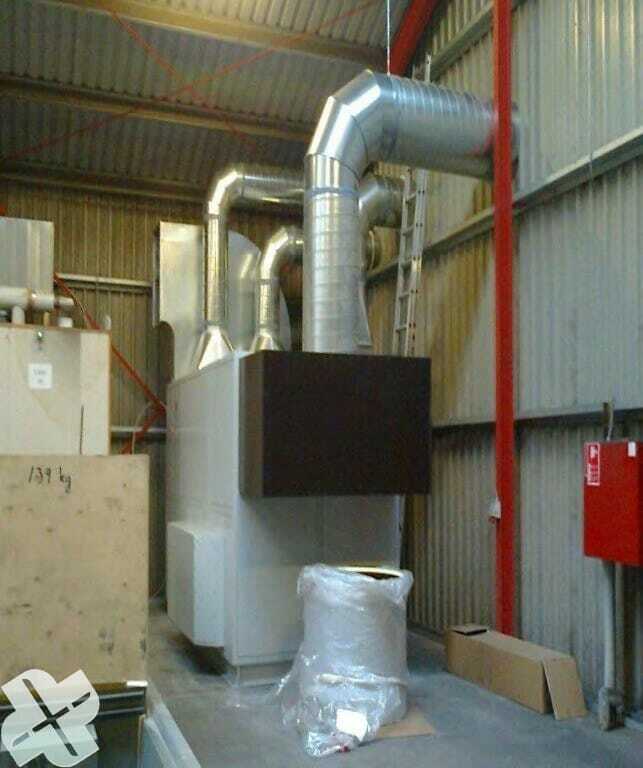 With a central air duct, valve registers and the ABC processor you can dry different sections at the same time. When needed outside (or inside) air will be mixed with dehydrated air to reach the desired ingoing. Example of distribution from dehydrated air over 10 drying sections. Per section a valve for automatically controlling the inlet of the amount of dehydrated to reach the desired ingoing Absolute Moist content of the process air. 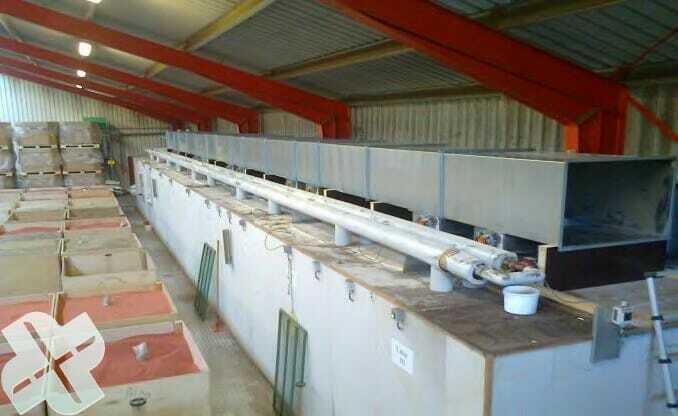 Controlling for automatically having dehydrated air at section where it is needed. * Normally only in the end phase to reach the final moist content of the seed. Manual controlling of desired section with dehydrated air. Drying installation before modification; per row boxes a fan. Air distribution duct on top of valve registers. 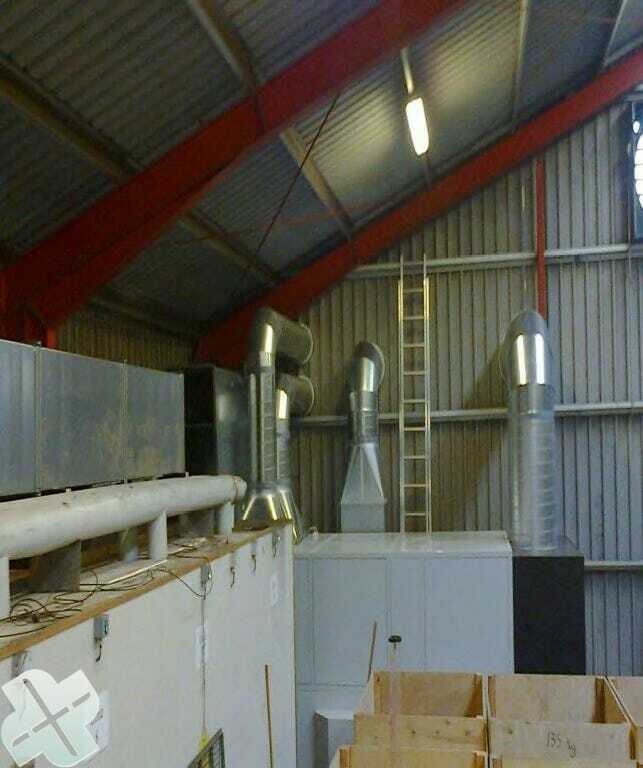 Air from air drier distributed to each drying section. 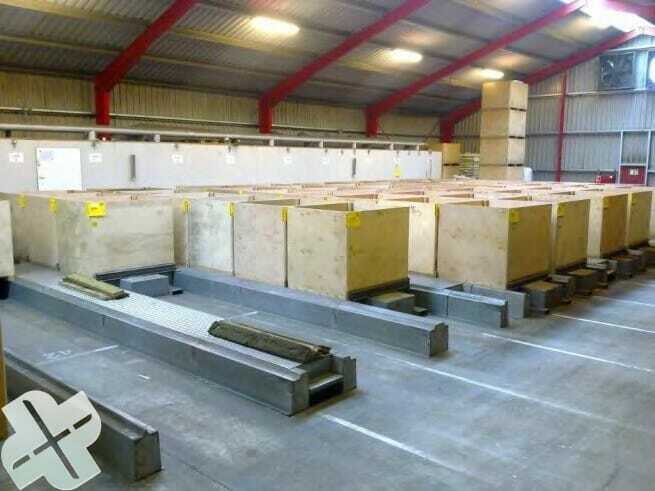 Drying installation after modification; each row boxes individually provided with dehydrated air. Air drier to be connected to the air distribution duct to bring dry air to the section where it’s needed. 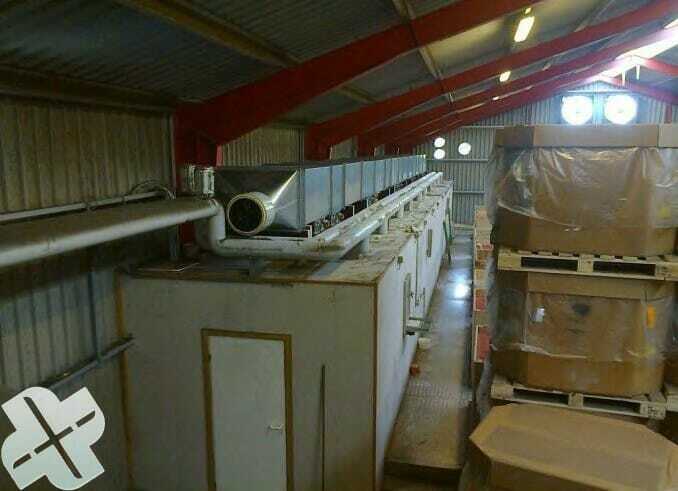 Roof of existing drying installation; installation of valve registers for dry air per row/fan. 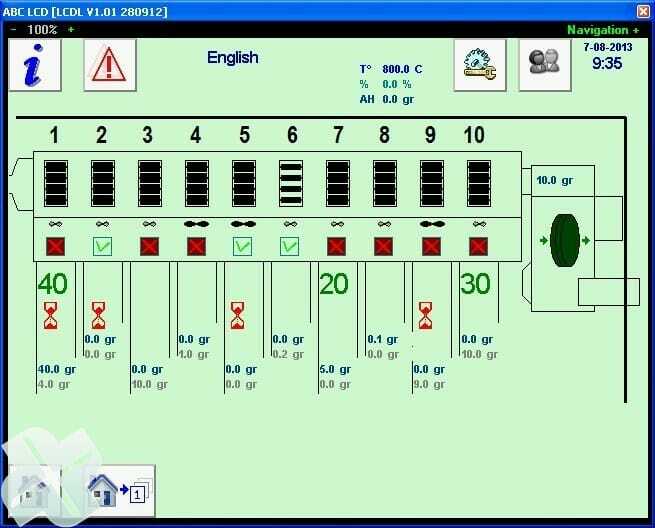 Touch screen with ABC software to control distribution of dried air over 10 drying sections. Per section a valve register to let dried air into the section that requires dried air. The adsorption drier is also ontrolled by the ABC software to reach desired moist content and airflow.